Gunmetal-plated brass with herringbone engraved trim. 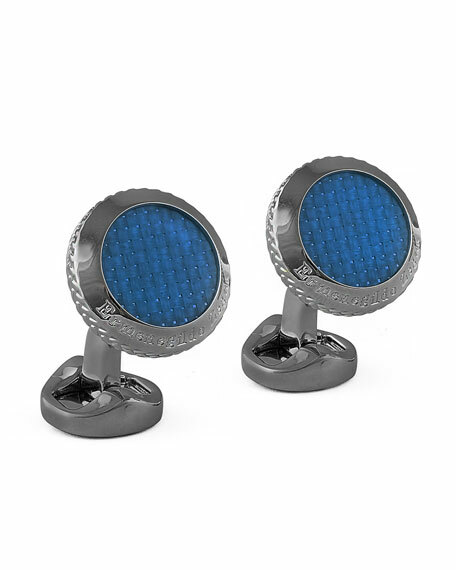 Round face with translucent blue enamel pyramids. Engraved logo text details face.